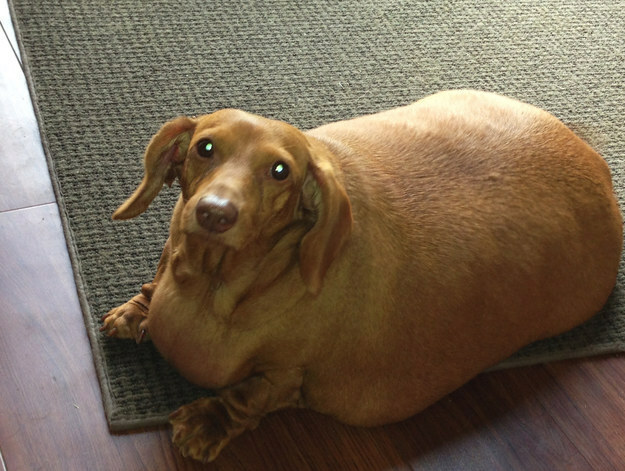 It took nearly two years, but a weiner dog named Dennis went from 56 pounds to 12 pounds after his diet of White Castle burgers and pizzas was stopped. After Dennis started eating dry dog food and going on lots of walks with his new owner, he went from 56 pounds to 12 pounds, losing 75% of his bodyweight. Brooke Burton adopted Dennis from her uncle when he was a whopping 56 pounds. Burton’s relative was a hoarder and had been feeding the pup mostly White Castle burgers and pizza. 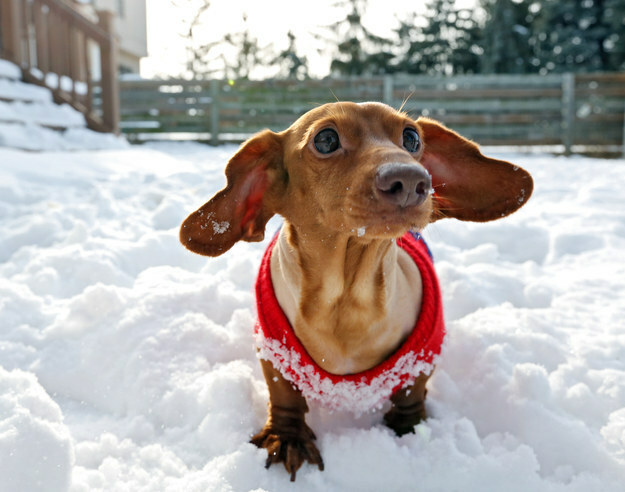 Burton, 26, convinced her uncle to let her adopt the dachshund in June 2013 and take him back to her home in Columbus, Ohio, Burton told the Associated Press. “The vet said he would not have made it another month there,” Burton told People Pets, noting that Dennis was very dehydrated and suffering from skin infections. Dennis started eating dry dog food and going on lots of walks with Burton. Dennis was depressed at first, but now the 6-year-old dog, who lost lost 44 pounds, happily chases squirrels and plays fetch, Burton said. Dennis lost so much weight that he would trip over his excess skin and it started to get infected, Burton said. The dog had three surgeries to remove the skin. Burton was able to raise the $2,800 needed to cover the dog’s medical expenses with the help of donations made to her GoFundMe site and from the Ohio State University Veterinary Medical Center, where the operations were performed, according to the Columbus Dispatch. Dr. Kathleen Ham, the veterinarian who performed the skin removal surgery on Dennis, said it is a good lesson to not feed pets too much. Although, Burton says Dennis still gets excited at feeding time. “He does a little dance,” Burton told ABC-affiliate WSYX-TV.